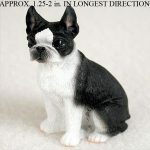 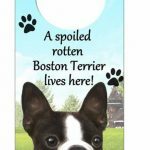 Dog Lover Store’s dog door knob hangers make a unique gift for any dog lover. They are made from a sturdy and solid composite wood. 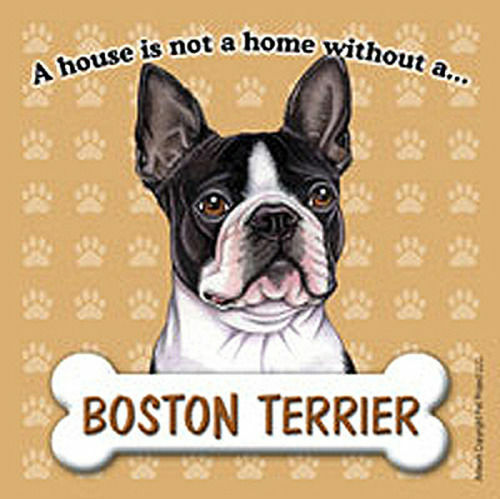 The designs portray a homey feel that matches every home’s decor and is perfect for hanging on any door in your home. 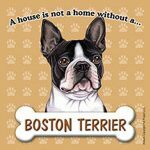 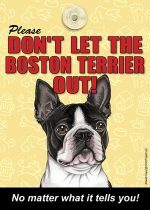 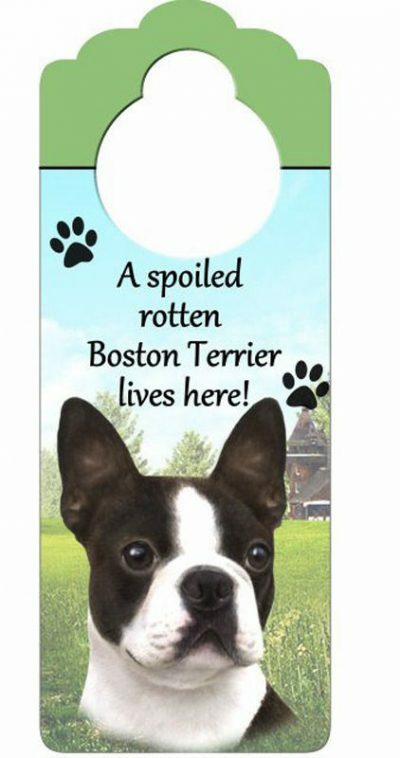 Door knob hanger states “A spoiled rotten Boston Terrier lives here!”.